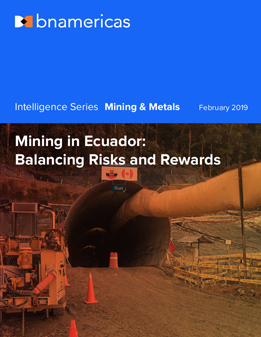 Ecuador's attractiveness as a mining destination has risen dramatically in the past few years thanks to a new legal framework and positive exploration results. Major international miners are eyeing the country with interest although recent indigenous opposition to mining is a growing concern. Do Miners Have Social License to Operate?